Copyright 2006 New Statesman Ltd.
For all their disagreements about whether Osama Bin Laden is an Islamofascist, an anti-imperialist or a religious nut who wants to restore the Islamic caliphate, almost all of those involved in the terrorism debate agree on one thing: that Bin Laden is a passionate guy with rock-hard beliefs. Those of a pro-war persuasion who consider Qaeda operatives to be “Islamofascists” imagine that Bin Laden must really, really hate Jews and Christians. Those of an anti-war persuasion who describe Bin Laden as “anti-imperialist” imagine that he must really, really oppose the US. And those who prefer a strictly religious explanation think Bin Laden is really, really committed to imposing sharia law on Muslim lands, if not the whole world. Such explanations have in common a perception that Bin Laden is a driven individual with a formidable programme that he will stop at nothing to implement. I mean, anyone who is willing to rough it in a cave in Pakistan, Waziristan or Wherever-istan, despite having a fortune of millions, and who sends young men to blow up themselves and scores of civilians, must really believe in what he is doing – right? Wrong. As these books demonstrate, Bin Laden is a shameless opportunist who steals his ideas from others and who dresses up what are essentially violent screams of rage in whatever political garb happens to be fashionable. Bin Laden is not a man of principle, but a nihilistic chancer who chops and changes the justifications for his crimes whenever it is convenient to do so. Of these three books, the most interesting is Messages to the World, although not for the reason its publisher thinks. In his introduction to this collection of all of Bin Laden’s public utterances between 1994 and 2004, Bruce Lawrence argues that there is an overall coherence to Bin Laden’s statements, that he is a “contemporary anti-imperialist fighter adaptive to the Information Age”. Either Lawrence did not read Bin Laden’s statements before writing this or he is uninterested in the facts. For what emerges clearly from the book is that a) Bin Laden is inconsistent and b) his justifications for violence change in tune with debates in the west. In the first statement collected here, dated 29 December 1994, Bin Laden comes across as a religious crank whose big complaint is that his homeland of Saudi Arabia is not chokingly religious enough. However, by 2004 his words are virtually indistinguishable from those of the secular and western anti-war left. He says the war in Iraq is “making billions of dollars for the big corporations . . . like Halliburton and its offshoot and sister companies”, and talks about the Bush administration as “merchants of war, the bloodsuckers who direct world policy from behind the scenes”. He cites the authority not of the Koran, but of Robert Fisk. Bin Laden is a wily observer of western debates, and it is clear that his views are continually moulded by them. Even his justifications for 9/11 have been shaped by western reflections on the attacks. On 28 September 2001, he disavows responsibility, seeking instead to blame the atrocities on some dastardly conspiracy with-in America (he talks of “a government within the government”). Such X-Files musings could be found on any of the conspiracy websites that creaked into action after the attacks. Later, on 21 October 2001, he justifies 9/11 as an attempt to bleed the US economy dry, and celebrates that lots of people in New York are still off work because of “psychological trauma as a result of the [attacks]”. Here, he is basically pilfering western media coverage of the emotional and economic impact of 9/11. Later still, he talks about it as a strike against the mighty US in the name of the oppressed Palestinians. This, too, is derived from the west, where numerous commentators claimed that 9/11 must be payback for US support of Israel. Bin Laden repeatedly takes some western theory or other about why al-Qaeda exists and what its aims are, and tries to make it his own. It is almost as if he doesn’t know what his group stands for, or why it executed 9/11, and so rummages around for explanations elsewhere. Such methods, however, can be self-destructive. 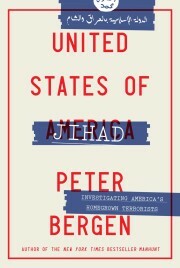 As Bergen says in his introduction, “Bin Laden acts on impulse, often overreaching and paying little attention to the potential consequences of his actions.” Bergen shows that during al-Qaeda’s time under the wing of the Taliban in Afghanistan, Bin Laden’s actions constantly jeopardised his own safety and even threatened the organisation’s existence. He continued to give media interviews even after Mullah Omar warned him not to, and allowed 9/11 to go ahead even after promising Omar that he would cease organising terrorist activities from Afghan soil. The unintended effect was the Afghanistan war and the dispersal – and to all intents and purposes the destruction – of al-Qaeda as a physical organisation. It is unfortunate for Mary Habeck that I read Knowing the Enemy after the other two books. Having gained an insight into the internal workings of al-Qaeda, its scatological politics and opportunistic organisation, I found that her arguments didn’t ring true. Her claim that al-Qaeda is part of a new movement “with a specific ideology based on the thought of Muhammad ibn Abd al-Wahhab, Hasan al-Banna and Sayyid Qutb” seemed too neat and convenient an interpretation of a terrorist outfit that in fact shifts the goalposts with every statement it releases and seems to justify its outrages only after the event. It is a strange kind of ideological jihadism that defines itself on the back of arguments developed in what the jihadists surely perceive to be a secular, decadent and exhausted west. So if Bin Laden and his henchmen are not Islamofascists, anti-imperialists or old-style religious warriors, what are they? It’s difficult to say. Perhaps they embody a globalised form of anti-modernism, a new strain of nihilism, or a kind of violence we have not seen before. One thing seems clear: terrorist violence born of opportunism can be as lethal as terrorist violence born of politics and ideology, if not more so.